NYPD Detective Chiara Corelli exposed a ring of dirty cops but didn’t get the leaders. Now, she’s the one exposed. And she’s being ostracized. Can she trust Detective P.J. Parker to watch her back? Detective P.J. Parker’s father is a vehement critic of the NYPD. But that doesn’t stop her from wanting to work homicides. And wanting to learn from the best. 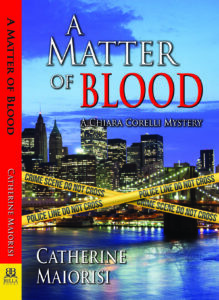 Unfortunately, Chiara Corelli is the best…even if she is the most hated detective in the department. Without Parker, Corelli will be condemned to desk duty. Corelli is Parker’s only chance to work in homicide. While battling each other, these two tough women join forces to solve a brutal murder and protect Corelli’s family. 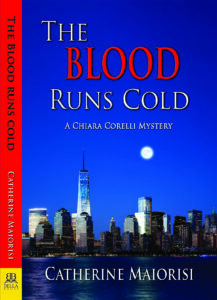 The Blood Runs Cold is the second NYPD Detective Chiara Corelli Mystery.